Stop by Bar 41 in Oakland, after a long day of work to relax and party with us! Join us for an evening filled with drinks, food, and fun! 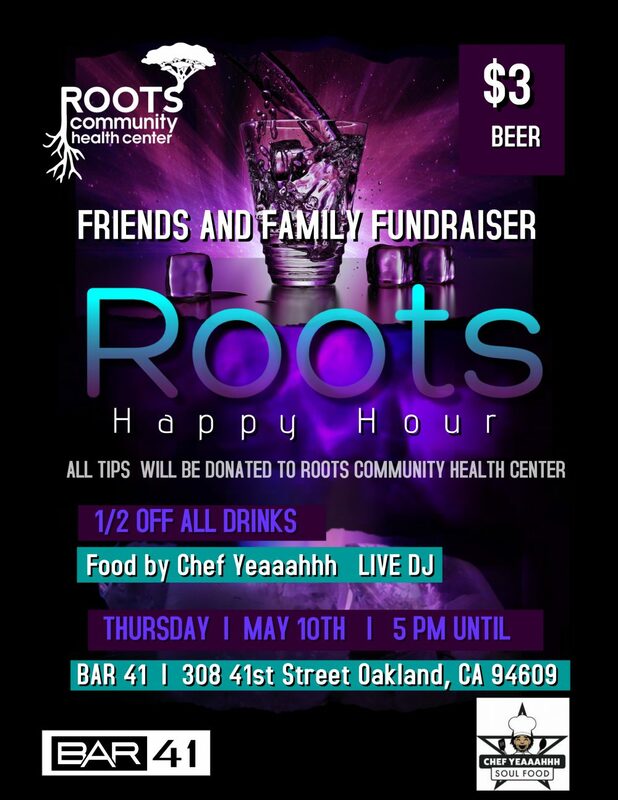 All tips from the night will be donated to Roots Community Health Center. Enjoy delicious soul food provided by Oakland’s very own Chef Yeaaahhh and a cool vibes by a live DJ . *Special thanks to Bar 41 for hosting our event.